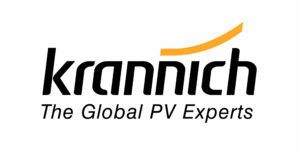 Krannich Solar has been a reliable partner to photovoltaic installers since 1995, offering everything the industry needs for a bright future: sound advice, effective logistics and one of the world’s leading product and system ranges for solar power generation. With a growing share of the market, the owner-managed and self-financed company is a leading photovoltaic retailer. The corporate group is represented by 28 companies in 19 countries employing more than 330 staff.